VIP+ Memberships not only give you access to the latest agricultural news and information you need in print, online and mobile, but also comes with member only benefits designed to help you make critical business decisions, access support and get great deals on farming essentials. Grant Checker: Look up and research agriculture grants, loans and scholarships available to you as a farmer. A VIP Classic membership gives you the Farmers Guardian essentials. 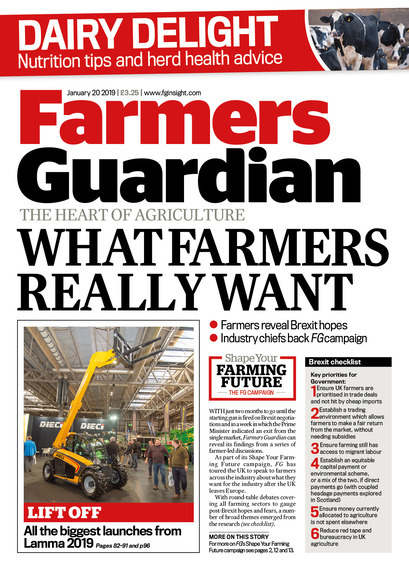 Your printed weekly copy of the magazine delivered to your door at less than the cover price as well as unlimited article access online so you can stay up to date with the latest agricultural news as it happens and in-between issues. VIP Digital memberships not only give you access to the latest agricultural news and information you need online and on mobile, but also comes with member only benefits designed to help you make critical business decisions, access support and get great deals on farming essentials. Having no printed magazine means lower cost and no trees are getting cut down in their prime. Good news for everyone. 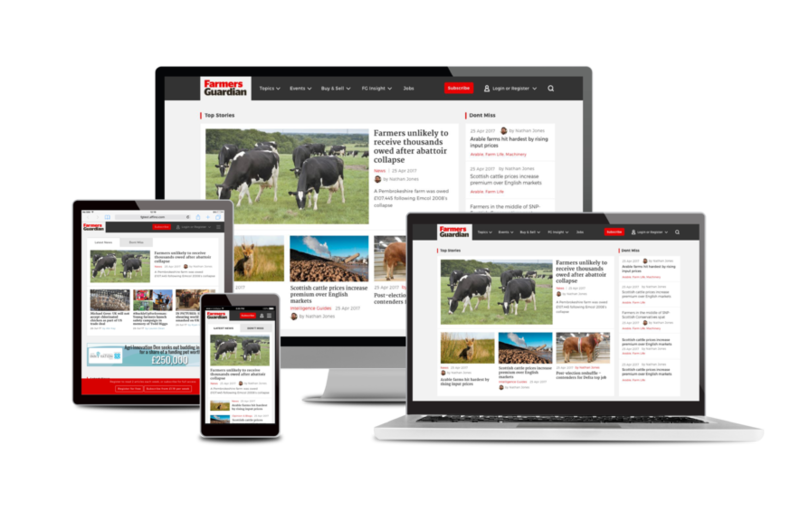 Designed to work on a range of devices and screen sizes, you can now view agricultural news easier than ever. With its simple design, clear navigation and quick and easy links, you will be kept in the know 24/7. As a registered user, you'll have access to a limited number of news articles in the NEWS area of FGInsight.com every month. To see more subscribe to one of our packages. You can also sign up for any of our free e-newsletters, which deliver the latest news and opinions from specific agricultural sectors straight to your inbox every week.